Learn what to do if you don’t see your recently downloaded bank transactions in QuickBooks. When you connect your online bank and credit card accounts, QuickBooks Online downloads new transactions automatically. But if you notice you’re not getting the latest transactions, here’s how to get them rolling again. Important: If you see a specific error message, go to step 3. Instead of nightly, QuickBooks Online downloads new American Express transactions 2 or 3 times a week. If you need transactions sooner, select Update to download the latest available. QuickBooks downloads new American Express OPEN transactions every night. But, you can’t manually download new transactions. QuickBooks downloads the latest available transactions every night around 10 PM PT. Recent transactions may not be available for download right away. Depending on the bank, it may take up to 24 hours. If downloads seem stuck, or you want the latest transactions available, you can manually download them. Go to the Banking tab. Select the blue tile at the top for the bank account you want to update. Select Update. If you see a message about additional authentication, follow the on-screen instructions. Not all banks require this, but some do for added peace of mind. Feel free to keep working during the update. You’ll get a notification when it finishes, and the number of transactions in the blue tile will increase. If you still can’t download new bank transactions, the issue may be on the bank’s end. 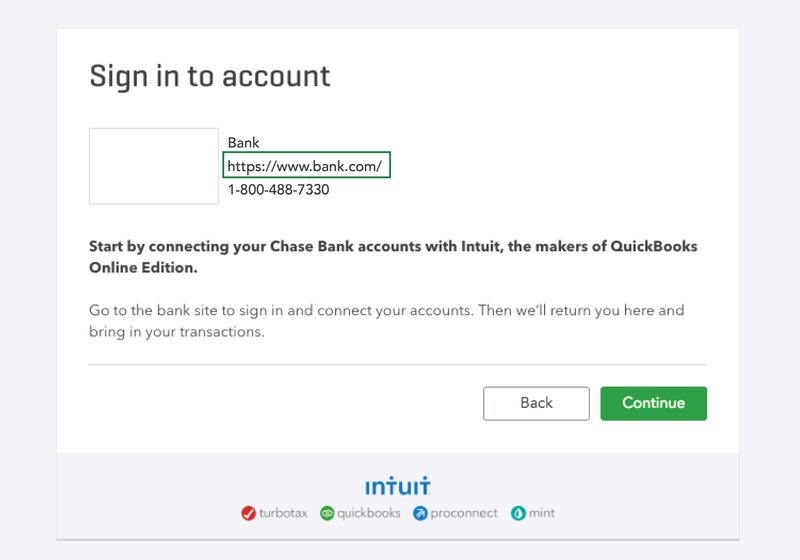 Use these steps to sign in to your bank’s website from QuickBooks. Select Add Account (you won’t add an account, you just need the listed URL). Search for your bank and select it. Select the URL listed in the window. Sign in using your bank website username and password. Some banks have multiple login URLs. Make sure you’re using the same one listed in QuickBooks. If you can sign in to your bank’s website, you’re halfway there. Check your account page for messages, notifications, or alerts. Any display or login issues on the bank’s end can block downloads. Also, check your bank’s website for any new security requirements. Even something as simple as updating your bank password can block QuickBooks. If everything looks good, go back to the Banking tab in QuickBooks. Select the blue tile for the bank account. If you updated your bank account username or password, make sure QuickBooks has the latest info. Select the blue tile for the bank account, then the pencil icon to edit. Select Edit sign-in info and update your username and new password. Some errors block QuickBooks from downloading new bank transactions. To fix specific download errors, follow the links. If you've tried all of the solutions in this article and still need help, contact QuickBooks Online Support. Note: If you see the Report Issue option on your bank error, select it to notify us of the problem. We'll work on our end to fix the issue.